With busy lifestyles, many consumers are relying on the food industry for convenient and affordable sources for meals. There is a big emphasis not only on the cost and nutritional value of these options, but also on the taste and eating experience from the purchased items. Flavors play an essential role in enhancing the taste experience. This experience, which includes aspects like flavor, aroma, and mouthfeel, becomes more important in the case of healthy food options where fat, sugar, salt and calories reduction are emphasized. Flavors are extremely essential in rebalancing the taste profiles associated with removal of excess fat, sugar, salt. For example, a reduced fat ranch dressing may be improved with the addition of dairy flavors that would give the perception of creaminess that is reduced when the actual fat component is lowered. In diet sodas, the replacement of sugar with a high-intensity sweetener usually results in off-tastes of the sweetener, i.e. bitter/ metallic notes, lingering sweetness and loss of mouthfeel. These off-notes can be reduced and improved upon with the addition of flavors. Nutritionally enriched food items such as meal replacement/nutrition beverages or bars fortified with high amounts of protein, vitamins and minerals come with a lot of taste challenges. Proteins often have strong flavors that can create off-notes, or can interact with vitamin and minerals and create flavors frequently described as bitter, beany, metallic and chalky. Flavor solutions can help reduce the off-note perception of the nutritional enrichment. 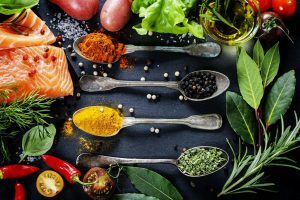 In short, flavors are very much an essential tool for the food manufacturer in the pursuit of introducing healthier, cost-effective and also good-tasting food options to the consumer. Currently, the trend for natural flavors has been on the rise due to the consumer’s desire for wholesome and minimally processed foods. With the advent of food bloggers such as the Food Babe and also natural and organic food movements, there has been an even bigger momentum for food manufacturers to move away from artificial additives in food and replace them with natural ingredients, such as natural flavors, in their food. The definition of healthy is expanding to include foods without additives and with easy-to-read ingredients, similar to a food that was home-cooked. Common requests from consumers include: does not contain artificial flavors, colors or preservatives, GMO-free, and free from pesticides and hormones. However, unlike the label ‘organic’, which has a fixed set of rules and regulations in order to receive the correct labelling status, the label ‘natural’ in the US is not regulated. Natural flavors can be briefly described as an extract derived from foods (plant, animal, spice etc.) or from a ‘natural’ process such as fermentation and enzymatic conversion. The Flavor & Extracts Manufacturers Association (FEMA) provides additional description of natural flavors here. In the EU, there are more specific regulations and guidelines for the labelling of natural flavors. Flavorings can be labelled with the term “natural” only if their flavoring part consist of entirely “natural flavoring substances” and/or “flavoring preparations”. The definitions of these natural flavoring components include the source materials they are obtained from and the processes they are obtained by. The specific descriptions of natural flavorings labelling would depend on what is present in the flavoring part and the flavor perception how they were made i.e. natural flavoring, natural flavoring substances, natural (example) raspberry flavoring and natural (example) strawberry flavoring with other natural flavorings. For a named natural flavor, for example natural orange flavoring, at least 95% (by weight) of the flavor must originate from orange and the flavor perception of the named source needs to be easily recognized. For the other type of natural flavor label, e.g. 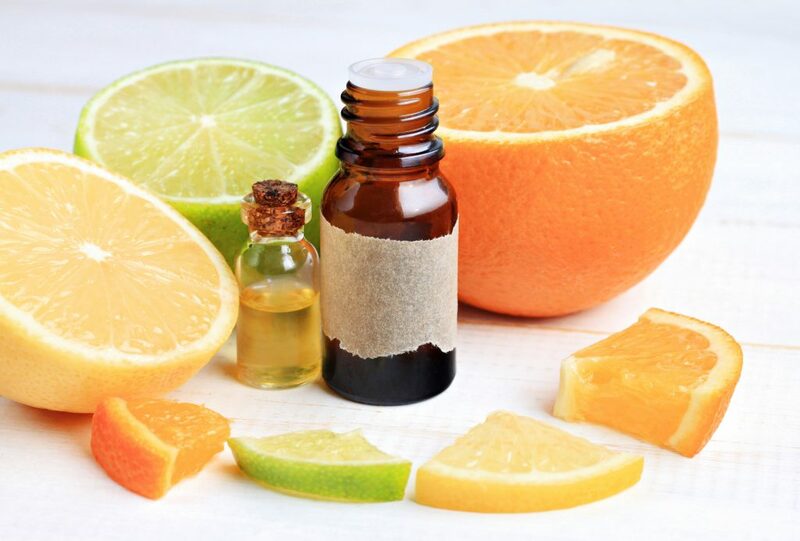 ‘natural orange with other natural flavorings’, flavoring components derived from orange are present and their flavor can easily be recognized. For the other ‘natural flavorings’ in this label, the flavors can be derived from different source materials other than orange. The use and sourcing of natural flavors are not without its challenges. Natural flavors are usually more expensive to manufacture and also not as potent as their synthetic counterparts. For example, a vanilla extract made from the extraction process of vanilla beans costs significantly more than synthetic vanillin. 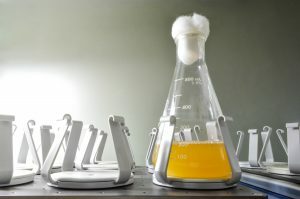 Because natural flavors are not usually as potent as synthetic, a higher dosage of flavor will have to be used which would increase cost in use (CIU) in the final product. There are also problems associated with obtaining raw materials for natural flavor extraction. For example, vanilla crop yield is very susceptible to poor weather conditions and also unstable political/ humanitarian situations and citrus based flavors which have been severely impacted in the past decade and a half by the greening disease. The greening disease is caused by the bacterium Candidatus Liberibacter asiaticus which results in diseased, unhealthy trees with small, dark green fruit with bitter tasting juice. There is no cure for this disease except by the burning of the infected trees to prevent further transmission of the bacterium and this has severely reduced and affected citrus production in the USA, Brazil, Asia and other part of the world. There have been many groups advocating for a formal regulatory process to obtain the ‘natural’ labelling status for foods and flavors, as is seen in the case of ‘organic’ labelling which has very strict and defined guidelines. In the US, the FDA is in the process of evaluating the status of the ‘natural’ label. With an even stronger demand by consumers for foods which are free of additives, preservatives and flavors (both natural and unnatural), there might be a push to even remove the label ‘flavor’ entirely from processed foods. This would pose definite challenges on food processors to deliver good tasting foods without flavors. Labelling of the flavors might also be changed, e.g. in a cheese flavor, it would not be declared as a flavor but as cheese, water and enzymes instead. There might be more of a push from the food industry to modify the way a food is processed and the base ingredients used to maximize flavor development of a product instead of topical application of a flavor. For example, slow roasting of a food to develop complex savory flavors. This would lead to higher costs of the final product which the consumer must be willing to bear in exchange for removing items like natural flavors from food labels. Celia Chee is a Senior Research Scientist responsible for development of new flavor modulators and flavor building blocks with the Taste Innovation Discovery Group at Kerry. She received her MS in Food Science at Penn State University and has over 10 years’ experience in the area of complex flavor creation.